Forget Swedish and shiatsu massage. There is a trendy new form of massage that involves using infrared lights. Not to be confused with infrared saunas (frequented by celebs such as Meghan Markle and Jennifer Aniston)—although they share the same concept—infrared massage is a way to Zen out and reduce pain in the body. It just might be the next big thing in self-care thanks to its long list of benefits, which includes improved circulation, flushed-out toxins, and relief for tight muscles. There are even infrared yoga sessions! If you are new to this concept, here are some of its benefits along with some infrared massages you can use at home. Just one 30-minute treatment of infrared massage, and your blood flow is enhanced by 400 percent. Seriously. This increased blood flow works overtime, lasting several hours after your session. Detoxing the body with infrared massage involves a combination of three factors, all working together toward a common goal: flush the body of toxins. First, there is the actual massage, which helps get things moving in the body by kneading out toxins. Then, there is the heat from the infrared rays that can cause the body to sweat, thereby also flushing toxins from the body. Lastly, increased circulation combined from both factors helps to tie everything together, leaving you feeling and looking great. Many of us visit the massage therapist to help reduce the pain we feel from things like hard workouts, injuries, and just the strain of daily life. Some may find, however, that the most benefits you receive are while you’re on the table. Afterward, you might leave the session feeling no better than before. Infrared massage just may come to the rescue for pain relief because its effects can last days and even weeks after the session. There are heated pads, creams, and massagers out there for a reason—heat works to rid the body of pain. With infrared massage, the heat is actually targeted, making it possible to repair tissue and relieve acute and chronic pain. Relaxation has many benefits for pain relief as well, and nothing could be more relaxing than a heated massage. While seeing a massage therapist who specializes in infrared massage might be the most effective way to go about infrared massage, the cost can quickly add up. Save money instead by considering these at-home tools. Energy King massager benefits: This massager was scientifically designed to vibrate away pain with its heated technology. Its benefits include reducing lactic acid in the muscles, which is responsible for causing pain. This product improves blood and lymph circulation and reduces muscle pain. Butterfly massager benefits: This massager goes about pain relief in a different way. It sends relaxing electronic impulses to the muscles of the body, allowing the muscles to contract and relax. This helps the body to improve blood circulation, reduces fatigue, and may even build muscles by targeting certain areas such as the stomach, abs, and thighs. Let your next self-care night really heat up with infrared massage. 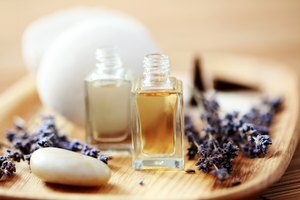 What Are the Manipulations for a Facial Massage?